Rental properties priced 75 percent less than an area’s median grew by 3.8 percent, indicating competition remains stiff nationwide. High-end rentals where rent hovers at 125 percent more than an area’s median, grew by only 2.9 percent. 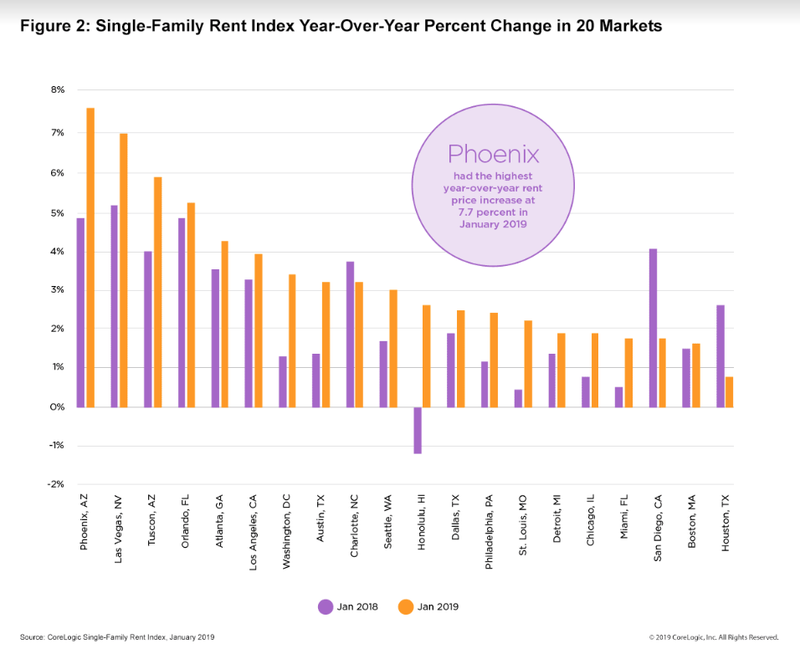 Out of the country’s 20 largest cities, Phoenix experienced the most drastic changes, with rental commanding prices 7.7 percent higher than in January 2018. Las Vegas followed with a 7 percent year-over-year spike. The escalation is caused by each city’s rapid growth and strong economy, according to CoreLogic, and as more people relocate, housing construction often fails to keep up the pace. The challenges Phoenix and Las Vegas face can be seen nationwide, according to the CoreLogic report. Low inventory across the country all but guarantees that renters will pay more for what little remains on the market, Boesel said. 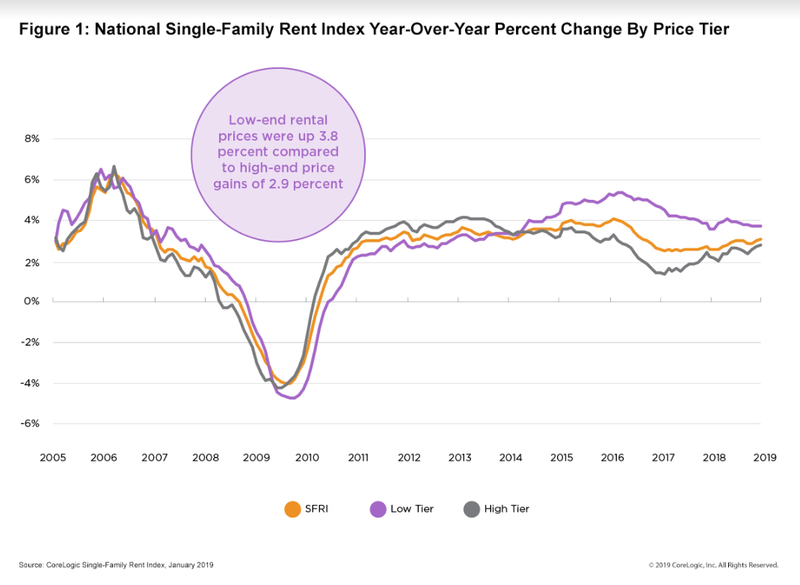 “Households headed by someone under the age of 35 are more likely to rent than own, and with nearly a quarter of the U.S. population between the ages of 18 and 35, this age group continues to feed the demand for single-family rentals,” Boesel said.